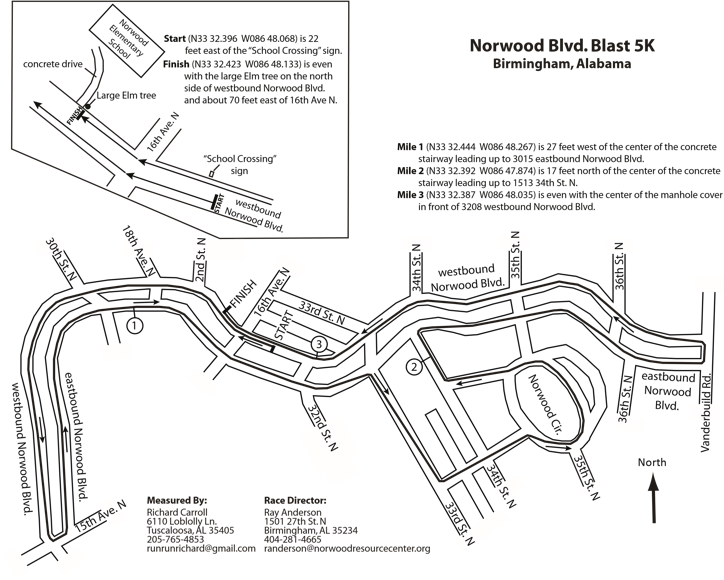 Boulevard Blast 5k in Historic Norwood is a certified 5k (3.1 miles) that includes a one-mile fun run/walk and many interactive activities to engage both Norwood residents and participants from across the Birmingham area. The Boulevard Blast is a part of Norwood Resource Center's "Get Healthy on the Boulevard" initiative which focuses on healthy activity and nutrition. All proceeds benefit the Norwood Resource Center, a 501c(3) nonprofit organization helping Norwood neighbors and assisting greater Birmingham since 2000. The race is Saturday, September 26th.